Does having a lodger affect your home insurance? The number of homeowners renting rooms to lodgers has shot up over the last few years as economic hard times hit. And as you can earn up to £4,250, tax-free, under the terms of the Government’s rent-a-room scheme, it’s not hard to see why. However, while you could gain a tidy sum without having to worry about the taxman breathing down your neck, you might want to check your insurer is equally relaxed about it. In fact, in a worst case scenario, having a lodger could completely invalidate your home insurance, so it’s very much worth checking the terms of your policy and speaking to your insurer if you’re considering it. Most standard policies state that those living in a home on a permanent basis should only be the policy holder and their immediate family. Additionally, those policies that allow it insist you check if your lodger has a previous criminal conviction. Other insurers may permit only of a certain type of person, while banning others such as students. The ‘non-disclosure’ rule –If you take in a lodger without informing your provider, it counts as ‘non-disclosure’ and could invalidate your policy. 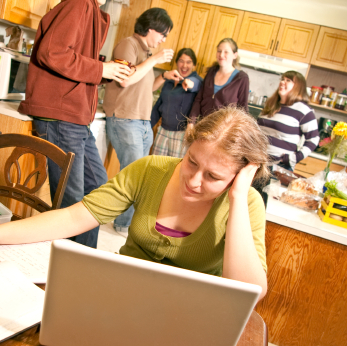 Certain types of lodger – If you are thinking of renting a room to a student, be aware some insurers consider this too much of a risk due to the ‘student ‘lifestyle’ factor. Rightly or wrongly, they feel that students might be more likely to leave doors unlocked and generally make a home less safe. Check for criminal convictions – Your cover could be null and void in the event of a claim if it turns out the lodger has unspent criminal convictions. You need to ask your lodger to sign a declaration stating that they haven’t got any. Insurer says ‘no’ – If you’re determined to rent out a room, but your current insurer says they won’t allow it, you can turn to specialist insurers who offer policies deliberately designed to cover landlord-lodger arrangements. Home safety – You need to have gas safety checks carried out by a Corgi registered engineer so that boilers, gas fires and other gas fired appliances receive a safety certificate. Additionally, furnishings the lodger uses should meet current fire safety standards. Disputes – If you’re concerned you might get involved in a future dispute, you might want to consider taking out protection for missed rent payments or legal proceedings. It’s a good idea to write up a decent contract between yourself and a lodger before they move in. Contents insurance – Don’t assume that if you have contents cover it will include lodgers as well as your possessions. The chances are it probably won’t.